Leading Edge specializes in the transportation, fabrication, and installation of granite and other solid slab surfaces. We work with contractors and homeowners through every step of the process to ensure that the final product exceeds industry standards. Whether your project is new construction or a remodel, we can produce a solid slab surface to suit your needs. Our shop is located in Northeast Bend and is equipped with a five-axis CNC bridge saw that handles the initial cutting of slabs, a separate edge profiling machine to cut a number of different edge profiles, and pneumatic polishing equipment that can polish the hardest stones to a mirror-like finish. 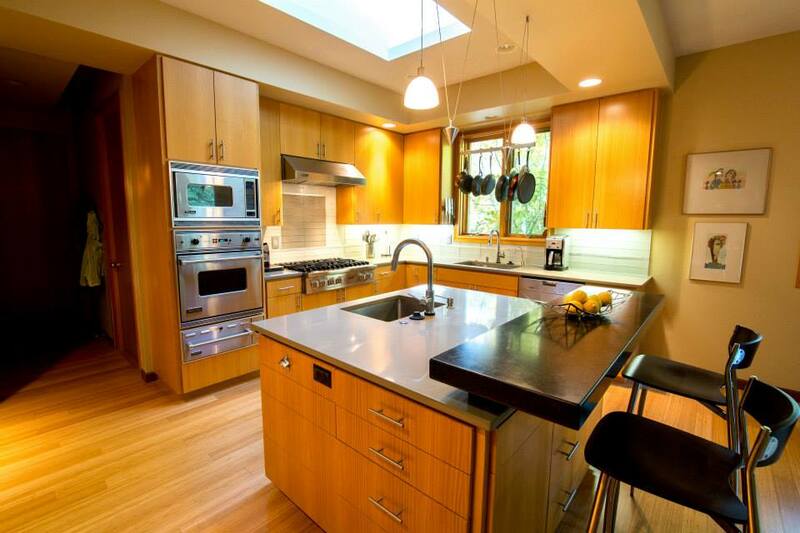 Ready for an upgrade to your kitchen? We can help! We work with homeowners and contractors through every step! 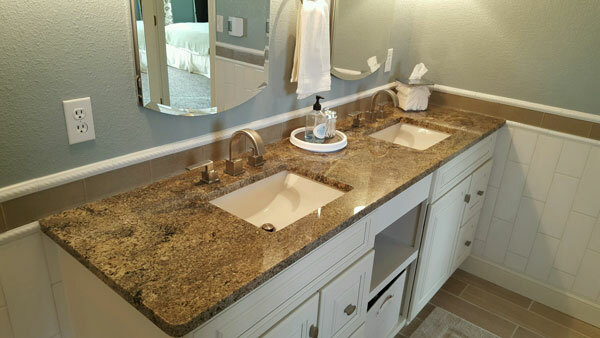 Make your bathroom feel brand new with custom countertops! Get ahold of us today to start exploring options!